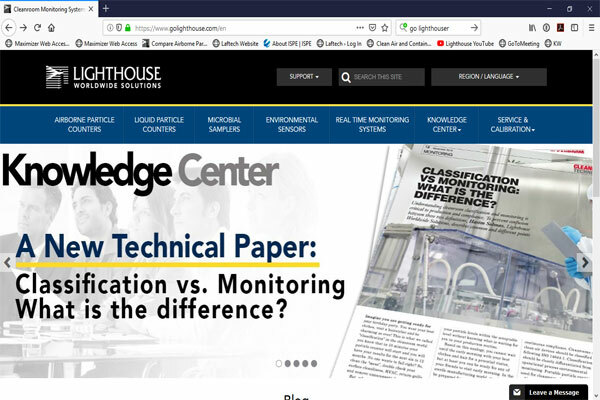 For those customers who were not already aware, Lighthouse Worldwide Solutions have some great resources under the Knowledge Centre tab of their website. Within this section, there is also a section dedicated to technical papers. For those companies that are interested in particle monitoring, viable air sampling, environmental monitoring systems (EMS), the latest standards and market trends and other related topics, feel free to visit the technical papers section from time to time.